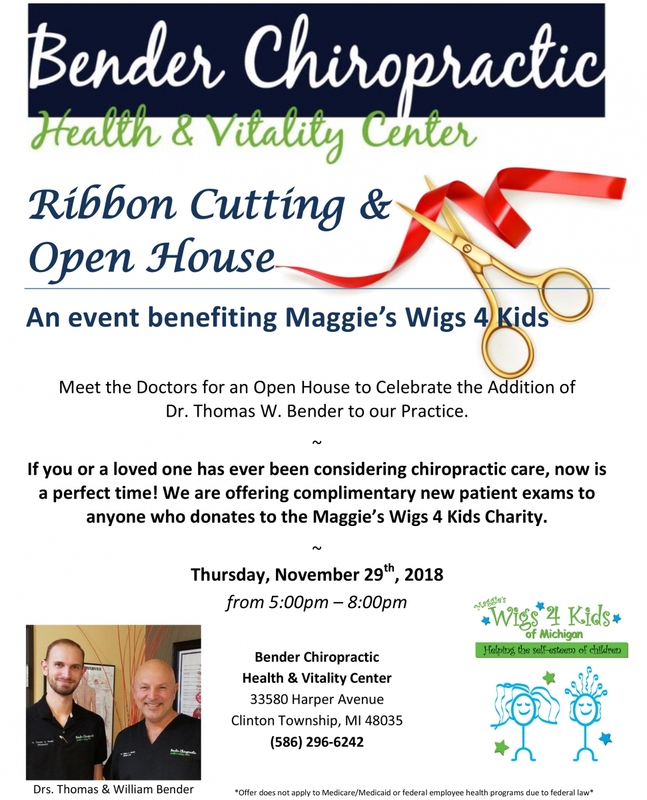 Bender Chiropractic Health & Vitality Center (33580 Harper Avenue, Clinton Township, MI 48035) is hosting a ribbon cutting ceremony on Thursday, November 29, 2018 from 5:00 - 8:00 pm. This event is an open house and meet the doctor opportunity for the community! 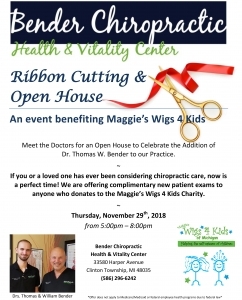 Guests will be able to schedule appointments for a complimentary chiropractic exam and 100% of the funds will be donated to our Maggie's Wigs 4 Kids of Michigan program.